Auction is the quickest way to move into your next property. As there are no chains at risk of collapsing and exchange happens at the fall of the hammer, this means you could be picking up the keys to your new property in no time at all. If you need to sell, the auction is the ideal way to achieve the best possible price and have money in the bank quicker than you think. 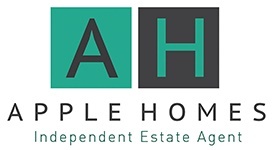 Apple Homes has partnered with the UK's property auction experts Auction House to help even more people to buy and sell at auction. If you want to find out how much your property could be worth at auction, contact the team for a free valuation. Our teams would love to help. Find out what your property could be worth.